Wilson becomes 2nd African American to lead team to NFL title. NEW YORK – There is no doubt that the NFL is a quarterbacks’ league. It is safe to say the signal caller is the most important man on the field. Teams that win consistently year after year typically have one thing in common: an elite quarterback. The Super Bowl XLVIII telecast became the most-watched television event in U.S. history, drawing 111.5 million viewers. Now all those football fans can firmly stamp second-year quarterback Russell Wilson to that elite list after he led his Seattle Seahawks to a governing and dominating 43-8 victory over the Denver Broncos. The NFL has implemented a slew of new rules that give the quarterback added protection, and, conversely the changes have led to passing records and increased scoring. The best quarterbacks of this generation have won Super Bowls over the past decade, including Tom Brady, Drew Brees, Peyton and Eli Manning and Aaron Rodgers. So when the Denver and Peyton brought their record setting passing offense to Metlife Stadium in East Rutherford, New Jersey, most concluded that his counterpart on Seattle, Wilson, would get blown off the field against the future Hall of Famer. I was one of those that thought Wilson was not out of his league on the biggest stage in American sports. He had already convinced me that he had that special something, as I sat in the press box in Indianapolis’ Lucas Oil Stadium and watched him bring back his inferior Wisconsin and produce a last-second victory over Michigan State in the Big Ten’s first conference title contest. Although Wilson finished his senior season with 33 passing touchdowns, the second-most in Big Ten history behind Brees’ 39. He also set the single season FBS record for passing efficiency (191.8), while leading his team to a Big Ten title and the 2012 Rose Bowl. Wilson has clearly used his shortcoming as motivation and has now etched his name into the noteworthy Super Bowl winning quarterback fraternity. 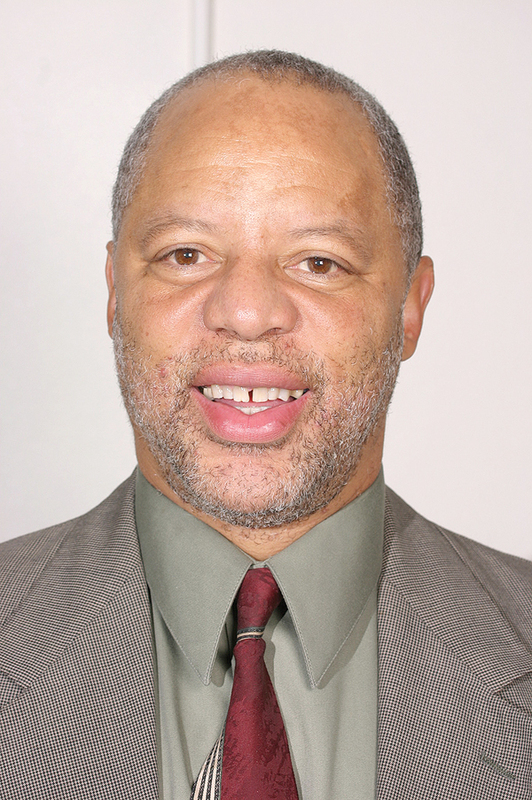 Also added to his growing lore is him becoming only the second African American to lead his team to football glory. 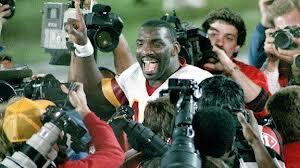 Doug Williams, who also won the game’s M.V.P. award, was the first African-American quarterback to hoist the Vince Lombardi Trophy after leading the Washington Redskins to Super Bowl nirvana in 1988. During the long span between Williams and Wilson, the late Steve McNair of the Titans, the Eagles’ Donovan McNabb, and Colin Kaepernick of the 49ers, each made Super Bowl starts in 2000, 2005, and 2013, respectively. As I conversed with other media in and around New York, the black quarterback thing was noticeably silent. I suspect the difference this year is that Wilson will represent the largest cohort of African-American quarterbacks to have played in one season. Williams, McNair, and McNabb were scarcities in their time. During some weeks of the 2013 regular season, as many as nine black quarterbacks started for the N.F.L.’s thirty-two teams, setting a league record. Three of the four quarterbacks who started in the N.F.C. divisional playoffs were black—Wilson, Kaepernick, and Carolina’s Cam Newton. The only thing that puzzles me about the game is that Wilson was not named MVP. He seized the Seattle starting as a rookie and has wrecked shop ever since. Against the Broncos he was 18-of-25 for 206 yards, two touchdowns and no interceptions. His numbers were better than the great Peyton. Wilson became the fourth second-year quarterback to win a Super Bowl, joining Brady, Kurt Warner and Ben Roethlisberger. Wilson beat the classic pocket passer of all time. What does that mean? Maybe the tide has truly changed, where the new quarterback, like Wilson and Kaepernick, will be expected to relied on their feet as well as their arms to win games.